Wallpaper featuring Hajime Saito (??) 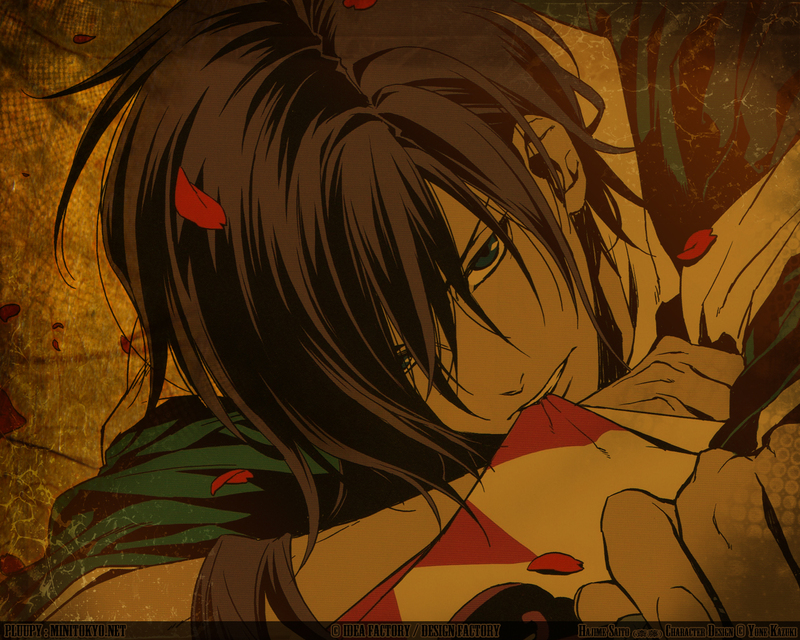 from the Playstation 2 game, Hakuouki. After finding out of the death of Nujabes, I felt disappointed in myself for not finding out sooner. In response I wanted to dedicate something to him. Originally I was going to make a Samurai Champloo wallpaper but for some reason the art didn't really fit. So, I settled with Hakuouki and which Hajime namely because he felt like a true samurai to me through the whole series. (and that attitude...so calm and cool!) After listening to some of Nujabes' beats from the Samurai Champloo soundtrack (namely "Ask" from Disc 1 "Departure") I felt at ease. Settled with this, ...voila. It was a messy process. Will be working on resolutions and OS variations upon request only. whats in his mouth ? is he bite a shinsengumi flag? Quote by CrystalPoemis he bite a shinsengumi flag? "Ask" is the name of the song I was listening to while making it. If you're interested in this song, take a listen here: http://www.youtube.com/watch?v=NTei03G8Jmk. It's from the anime, Samurai Champloo. If you are also interested in the full image, here it is: http://gallery.minitokyo.net/view/401590. What a face! Thank you for posting this!